With many unique features, our CMP250 series is now released and available from stock. ITE 62368 approvals are complete and the medical 60601 approvals are scheduled for completion by the end of May. High efficiency up to 89% allows the product to offer up to 250 Watts output power with convection cooling and, using a U channel design, the new CMP250 series provides peak output power of up to 500 Watts for up to 60 seconds when the average power does not exceed 225 Watts. Housed in a 4.0” x 7.5” (101.6 x 190.5 mm) footprint and with a low 1 U profile of 1.57” (39.3 mm) the CMP250 is also available with a cover (option –C). Features include BF rating with 1 x MOPP isolation from output to ground at 250 VAC working voltage, patient leakage current of <100 µA and constant current overload protection. These make the product ideal for medical designs and applications with electromechanical and motor loads. There are 3 single output models available with a choice of 24, 36 or 48 VDC output. All models include both 5 V / 1.5 A standby and 12 V / 0.6 auxiliary outputs. 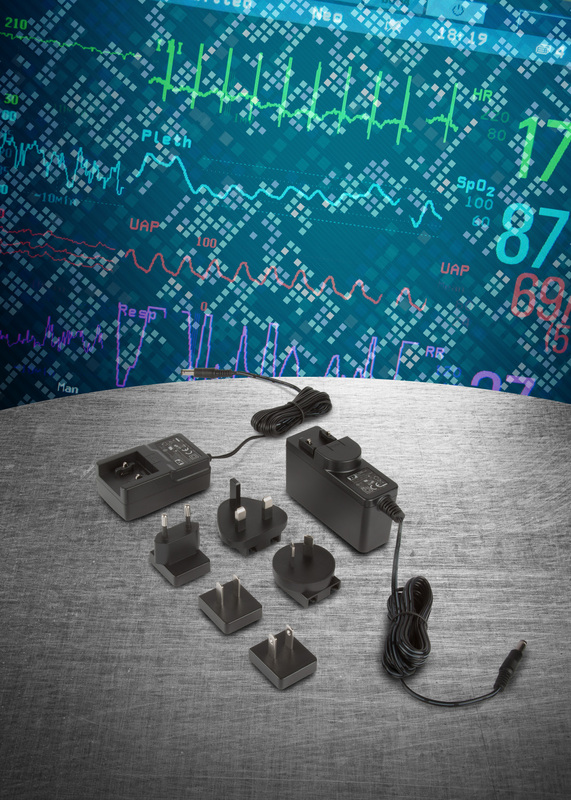 Standard signals include a power fail, inhibit, remote sense and current share for up to three supplies. Incepand din acest an vom adauga in portofoliul nostru de produse distribuite familia de lubrifianti temporari P80 si solutiile de curatare industriala produse de compania International Products - USA. Lubrifianții P-80® reprezintă elemente unice care ajută procesul de asamblare. Aceștia au o formulă specială, pentru a asigura o lubrifiere temporară cu ajutorul căreia cauciucul devine mai ușor de instalat, de îndepărtat sau de manevrat. Caracteristica temporară a P-80 este rezultatul formulei sale chimice. Lubrifianții asigură un nivel ridicat de gresare în condiții de umiditate dar, având în vedere că ei nu conțin silicon sau alte ingrediente persistente, imediat după uscare alunecarea nu mai este posibilă. Produsele P-80® nu conțin distilat din petrol, astfel încât acestea nu se vor usca, nu vor rupe sau deteriora piesele din cauciuc. P-80® este compatibil cu majoritatea materialelor din metal, plastic, și elastomeri naturali și sintetici. P80 este disponibil și în formule care pot intra accidental în contact cu produse alimentare. 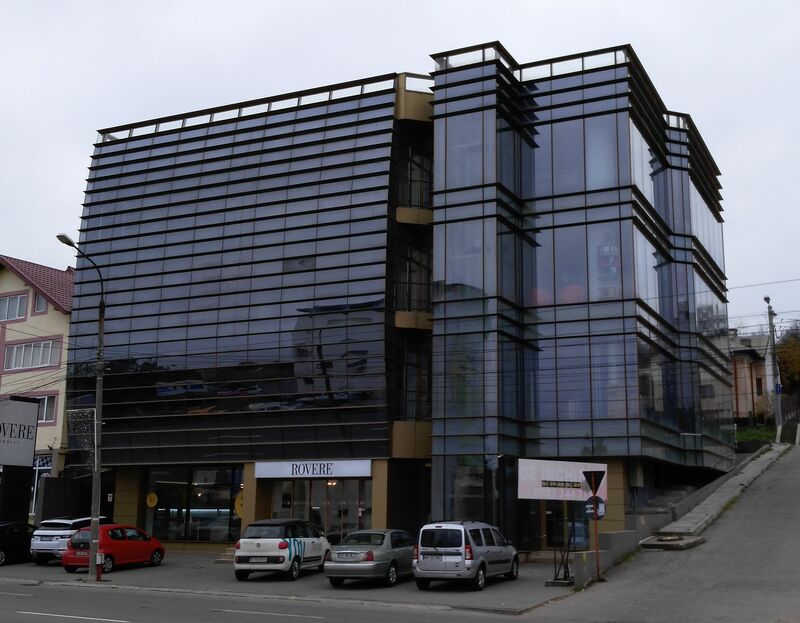 P-80® THIX, P-80® Emulsion și P-80® RediLube sunt biodegradabili. 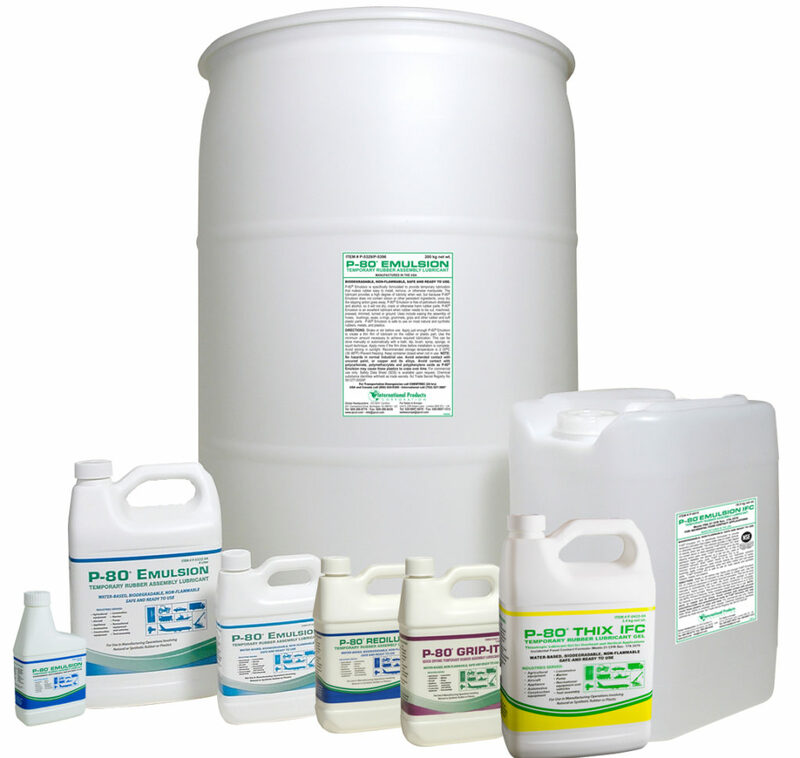 Produsele de curatare industriala , cu formula speciala, curata eficient rezervoare, instrumente si aparatura de laborator, mixere si membrane. Sunt ideale pentru utilizarea în industria farmaceutică, pentru dispozitive medicale, de laborator, industria alimentară (alimente și băuturi), industria cosmetică, de reciclare a apei, apei reziduale, pentru industria textilă și chimică! International Products Corporation (IPC) oferă in Romania o gamă completă de produse de curățare concentrate și de precizie, care nu necesită clătire, eficiente într-un domeniu larg de operațiuni critice de curățare. O concentrație economică de 1-2% în apă este eficientă pentru majoritatea operațiunilor de curățare. Se utilizează pe suprafețe metalice, de ceramică, plastic, pentru membrane filtru, articole textile și din sticlă. Produsele noastre curăță delicat și complet suprafețele, fără să necesite clătire. Produsele de curățare nu conțin solvenți, fosfați, silicați, fenoli și substanțe care prezintă motive de îngrijorare deosebită. XP Power today announced the ECE80 series of 80W single output AC-DC encapsulated power supply modules with high efficiency and a low no load input power. The modules are perfect for customers requiring an encapsulated AC-DC power solution in an ultra-compact format for either PCB, chassis, or DIN rail mounting. The ECE80 series has the smallest footprint and highest power density in the industry for an 80W encapsulated power supply module. The range is available in three formats for increased flexibility. The standard part comes as a PCB mount version, adding –S gives you a chassis mount version with screw terminals, and lastly the DIN rail version with screw terminals is available by adding –SD. The ECE80 range is an extension of XP Power’s ECE series of small encapsulated AC-DC power supplies, offering power levels from 5 to 80 Watts. 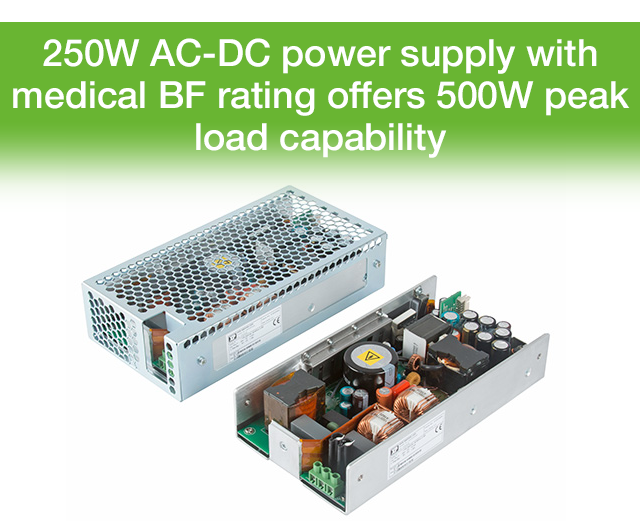 They accommodate the need for smaller and more efficient power supplies with low no load power consumption. Additionally, the modules are well suited to class II applications and offer Class B EMI without any additional filtering. Such applications include those in automation and process control, broadcast, instrumentation, mobile comms and home automation. With their peak load capability up to 130% of nominal rated power output for 30 seconds, ECE80 modules are able to power short term higher power loads, so designers may not need to specify a higher rated and possible physically larger power supply. With a very high power density of >11.2 W/in3 the compact power modules take up less space in customers’ end products. The ECE80 PCB mount module measures just 91.4 x 45.72 x 28.0 mm and the chassis mount module measures 113.0 x 47.5 x 28.5 mm. 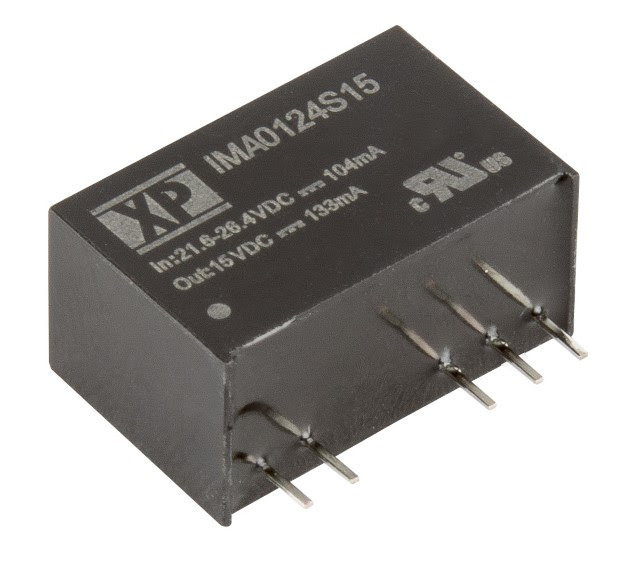 Five standard output voltages are available from 12 to 48 VDC. The modules’ <0.3W no load power consumption and efficiency figure of up to 89% helps designers meet current green requirements in their end applications, and their class II construction means that no ground (earth) connection required, again simplifying design. With their wide operating temperature range of -40 to 70 degrees C (with no derating until 50 degrees C), XP Power’s ECE80 modules are able to operate in most environments with no need for additional heat sinking or airflow. The modules meet Class B conducted and radiated EMC limits without any additional components, and are UL/CSA/EN/IEC 60950-1 safetyagency approved. XP Power new IMA01 series is now released and offers a 1 Watt DC-DC converter specifically designed for medical applications. They provide 1 x MOPP at 250 VAC and 2 x MOPP at 125 VAC working voltage with isolation from input to output of 4000 VAC. In addition they have worldwide medical safety approvals per 60601-1 standards and an ultra-low patient leakage current of 2 micro amps. Four input voltage ranges with a /-10% tolerance are available for nominal 5, 12, 15 or 24 VDC applications. Both single and dual outputs are available with 3.3, 5, 9, 12 and 15 VDC single outputs and dual output versions of each voltage. In total, there are 40 different models available in the range. The converters are packaged in a tiny SIP7 package that measures only 0.77 x 0.36 x 0.44” (19.5 x 9.2 x 11.1 mm) with a plastic case. The converters have an extended operating temperature range of -40 °C to 75 °C with no derating and are convection cooled. Both conducted and radiated emissions meet Class B limits of EN55011 with external filtering. The MTBF for the IMA01 range is 2.5 million hours. XP Power’s medical wall mount power supplies meet level VI and Tier 2 standards. XP Power today announced the ACM06 and ACM18 series of medically-approved wall mount / plug top power supplies that meet the latest Department of Energy (DoE) Level VI and Code of Conduct (CoC) Tier 2 standards. With single outputs of 6W and 18W respectively, they feature industry leading efficiency figures and use less energy while operating at no load to help reduce the impact on the environment and reduce energy costs. The power supplies feature a high average efficiency of up to 87.5% typical measured at 25%, 50%, 75% and 100% load, meeting the new DoE energy efficiency level VI (US) and CoC Tier 2 requirements in the EU. Both series feature a low no load input power, with all ranges consuming less than 0.075W. 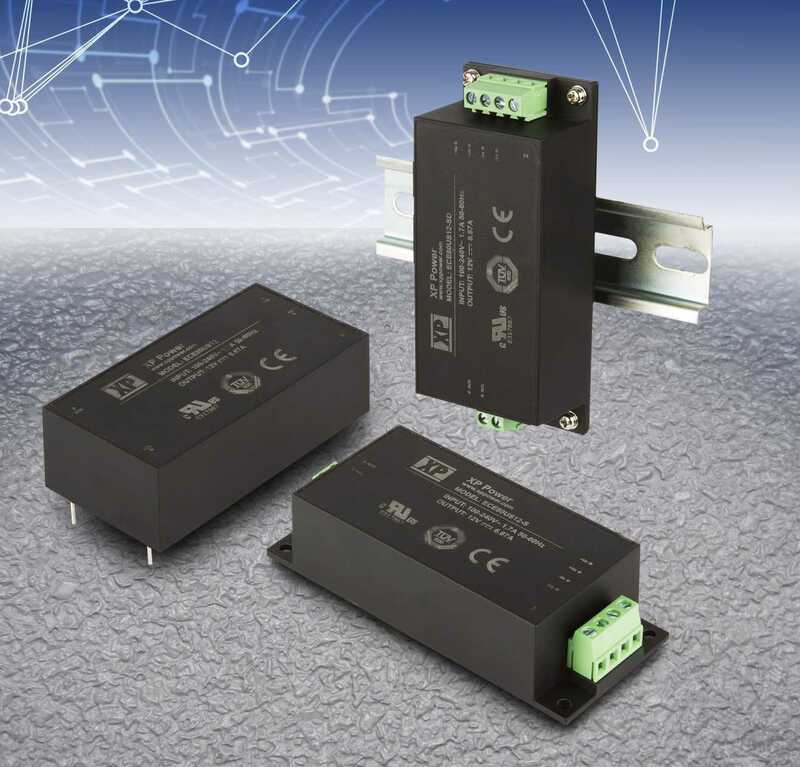 Exhibiting versatility, the ACM06 series is available in 5, 9 and 12VDC output models, while the ACM18 comes in 5, 9, 12, 15, 18 and 24VDC single output models, the most common output voltages to suit most applications. Both offer a choice of detachable input plugs for either the US, UK, EU, China or Australian use. This gives the designer the option of sourcing one or multiple plugs for their specific locations. With Medical 60601-1 and ITE 60950-1 safety approvals, and meeting Class B limits for both conducted and radiated emissions, the power supplies have the relevant international safety approvals and meet stringent EMC noise requirements for use in both medical and industrial applications. An operating temperature range from 0 to 60 degrees C, and a full power rating to 40 degrees C allow the power supplies to operate in most environments. Both series feature an output cable with a standard, 2.5mm inner, 5.5mm outer diameter barrel connector. 5VDC models are also available with an optional USB in-body connector instead of the output cord and plug. As standard, all models have a black plastic case, with white cases available as an option. Factors driving the demand for this type of product are the latest requirements of the DoE in the US and the CoC in the EU. These standards set limits for average energy efficiency and minimum no load power consumption. The new requirement lowers the minimum no load power to less than 0.075 Watt for the 6-18 Watt output power level. The power supplies will find favour in a myriad of applications where an external wall mount power supply is preferred to one mounted internally in the end product. Compared to the competition, XP Power’s ACM06 and ACM18 series feature very high, industry leading efficiencies, they are competitively priced and are available now. Starting from 1st Octomber 2016 we changed our location. Pitesti, Fratii Golesti Street, No. 120, 3th Floor.